Victims include 36-year-old father of 5, his 46-year-old sister, and their 70-year-old father. The names of those killed in Friday's terror attack in Neve Tzuf (Halamish) are Yosef Salomon (70), and his children Haya (46) and Elad (36). Their identities had been under a gag order until Saturday night. 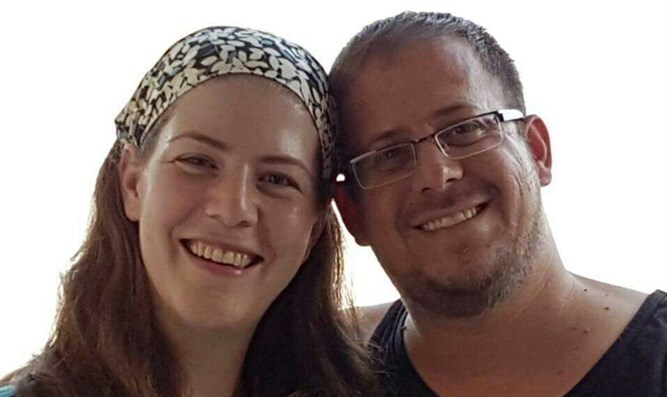 The Salomon family, residents of Neve Tzuf in the Binyamin region, had been celebrating the birth of a new grandchild Friday night, when 19 year old Omer al-Abed burst in, stabbing and killing the grandfather Yosef and his children. Elad's wife managed to quickly lock the children in a side room, saving the grisly body count from rising. An off duty soldier from the Oketz K-9 unit realized what was underway and fired through the windrow, hitting Al-Abed and stopping the attack in progress. Al-Abed is being treated in Petach Tikvah;s Rabin Medical Center. Al-Abed, who had written on Facebook earlier that "There is no point to living without the Al-Aqsa Mosque," had bought his knife days earlier in preparation for carrying out an attack. He was reportedly connected to Hamas, but was not an active member of the terror group.